The Supreme court made the remarks after the SIT apprised it that 42 cases have so far been registered on such killings. The Supreme Court is hearing a PIL seeking probe into 1,528 cases of extra-judicial killings in Manipur. 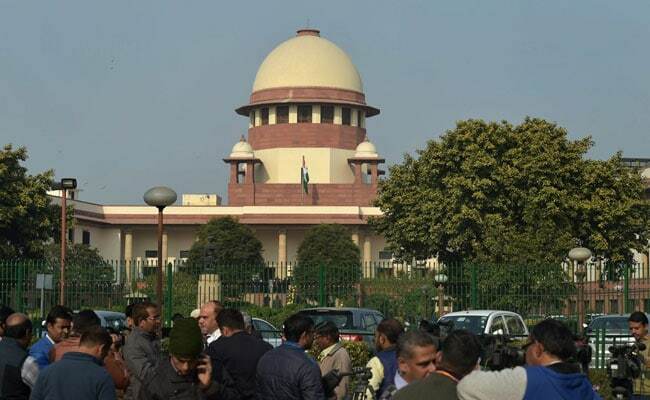 New Delhi: The Supreme Court today said that it was "not satisfied" with the progress made by the CBI's special investigation team (SIT) in the investigation into alleged extra-judicial killings and fake encounters by the Army, Assam Rifles and police in Manipur. The top court made the remarks after the SIT apprised it that 42 cases have so far been registered on such killings. A bench comprising Justices MB Lokur and UU Lalit also directed the National Human Rights Commission (NHRC) to depute three persons to associate with the SIT to carry out investigation in 17 out of the 42 cases. "We are not satisfied by the progress made by the SIT," the bench said. "We make it clear that the association of the NHRC is for the time being in respect of these 17 cases," it added. The bench also expressed its displeasure that the status report filed by the SIT did not appear to have the approval of the CBI's Director. The top court made it clear that the next status report of the SIT must have the approval of the CBI chief. The court has posted the matter for further hearing on March 12. The top court had on January 16 pulled up the SIT for not registering the required number of FIRs as directed by it earlier. The top court is hearing a PIL seeking probe into as many as 1,528 cases of extra-judicial killings in Manipur. The court had on July 14 last year constituted the SIT comprising five CBI officers and ordered registration of FIRs and probe into the alleged extra-judicial killings in Manipur.